Egypt, with 90 million people is the most populous Arab nation in the Middle East (not to be confused with Indonesia, the most populous Muslim nation, and located in the Southeast Asia); strategically important, Egypt is sovereign over the Suez Canal; politically important, it is one of just two Arab nations that has established a peace treaty with Israel. And it is in turmoil. Two years ago, President Mubarak was ousted from office after nearly 30 years of rule - much of it conducted in autocratic fashion - when the Arab Spring movement swept through Tunisia, Egypt, and into most of the Arab world. As we know, Syria's protests morphed into a tragic and bitter civil war which has killed nearly 100,000 and displaced millions. In Egypt, the Army kept a lid on the tensions, oversaw elections and an Islamist from the most organized of the factions - the Muslim Brotherhood - took office. President Morsi, in power for the past year, unfortunately spent most of his time and energy consolidating power, ramming through a Islamic-leaning constitution, at one time announcing near dictatorial powers only to have to backtrack amidst eruptions of protests, and most recently appointing Adel al-Khayat, "a member of a radical Islamist party linked to a massacre that killed 58 tourists in Luxor in 1997" to the very post of Luxor governor! According to the France24 article of June 23, 2013, "his appointment prompted uproar in Luxor, in the southern heartlands of al-Gamaa support. Workers in the tourist industry around its pharaonic temples feared the new governor could put off visitors at a time when business is already poor due to continued unrest following the 2011 revolution." The irony is that within a week of the uproar of his appointment by Morsi, Adel al-Khayat resigned. Similar to the recent demonstrations in Turkey which were met with a somewhat hysterical outburst from its Prime Minister, the swelling protests against Egypt's Morsi throughout June were met with denial and obstinancy. Finally, the Egyptian military gave an ultimatum to Morsi of 48 hours to recognize and address protest leaders, but Morsi refused to engage. P.J. Crowley, former United States Assistant Secretary of State for Public Affairs, recently interviewed by CBS regarding the ultimatum, "if something has to give, it's going to be Morsi. Though he won his presidency in a fair and free election, he's lost legitimacy with much of Egypt's population. According to Crowley, the Egyptian military already has a roadmap that includes a technocratic government, a rewritten constitution, and early elections. The reaction of the Muslim Brotherhood is another thing, and Morsi himself has said that he's willing to die for democracy in Egypt. "This could get ugly and that has implications, particularly in terms of the Egyptian economy," said Crowley." 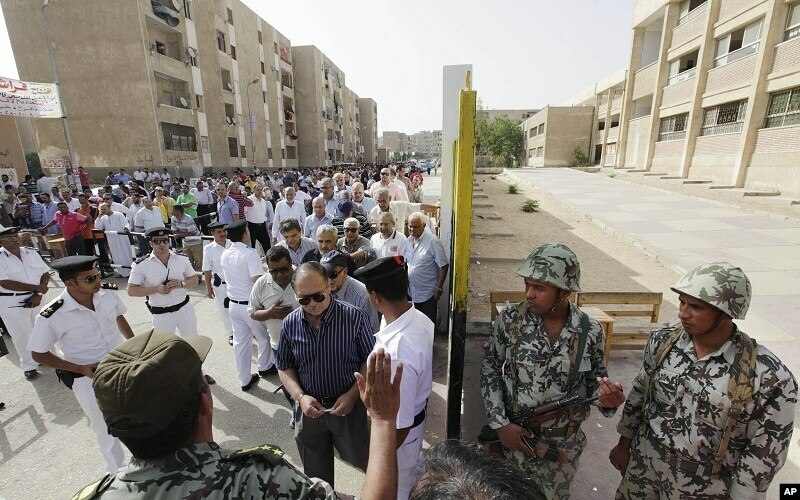 On Wednesday, July 3, the Egyptian army moved - deposing Morsi and sweeping up a number of Muslim Brotherhood leaders. Hundreds are now detained. By Friday, while most of the populace is behind the Army's move, Morsi supporters and the Muslim brotherhood organization have resisted, with over three dozen dead in a variety of protests. What legitimizes a government? Elections have slowly become a first component of what legitimizes a government, at least in the eyes of the other nations of the world. But elections alone have been shown in numerous situations that they alone do not at all guarantee a democratic responsive government. What if a leader gains power by the ballot, then proceeds to shut the door on further adherence to the framework of laws that brought it into power? Hitler came to power legitimately, then took on dictatorial rule. Lenin came to power via a coup, the Bolsheviks killed the royal family, set up its Communist party with elections - which resulted in just a few years in Stalin's dictatorship. If one looks around the world, a number of countries go through the process of holding elections though making sure both the candidacies and real power are limited. Iran, for example, just held an election that produced a new President, but the real leaders remain the behind-the-scene religious scholars. Photo and caption from the Agence France-Presse, "Influential Muslim cleric Yusuf al-Qaradawi on Saturday issued a religious decree, or fatwa, urging Egyptians to support overthrown Islamist president Mohamed Morsi who was toppled by the army on Wednesday." This individual is the same who called on Egyptian islamists to support Morsi last year. One has to ask the question however, is Sharia law compatible with democracy? Would those laws if ever enacted, ebb and flow depending on the will of the governed? When is a coup, not a coup? Teatree is sympathetic to the Army preventing freely-elected Morsi from highjacking Egypt's quest for true democracy. We should soon see however, whether the Army's intent of giving Egypt a second chance - new elections, new writing of laws, etc, comes to pass. After a year of frittering away an opportunity for good governance, new elections must be organized all the while attempting to tamp down a new round of explosive violence and resistance by the Muslim Brotherhood's supporters. One Egyptian was quoted in a recent article saying that this latest drama was not a definitive failure of the first, and the clear beginning of a second chapter, rather just steps along the way of one long difficult revolution. Besides the great secular/islamist governance divide, are there other issues? The real loss during Morsi's year of rule was his neglect of fashioning economic growth and broadening of its prospects, while attempting to force Sharia law and islamic piety. Egypt is truly a basket case economically, propped up by several countries, and world financial institutions. Egypt cannot feed itself. As the photo shows and as an article in the ethiopianreview.com describes it, "Egypt’s slide from breadbasket of the eastern Mediterranean to net grain importer is elemental to an economic crisis that threatens to convulse the nation. Complicit, according to economists and farm experts, is an Egyptian government that for years refused to build the infrastructure needed to produce wheat in a cost-effective way; a privatization drive that plundered Egyptian agriculture with ill-advised and often corrupt divestment deals; farmers who sold their fields to property developers or diversified into more profitable crops for export at the expense of grains; and the U.S. government, which promoted sales of American wheat in Egypt rather than encouraging greater self-reliance." 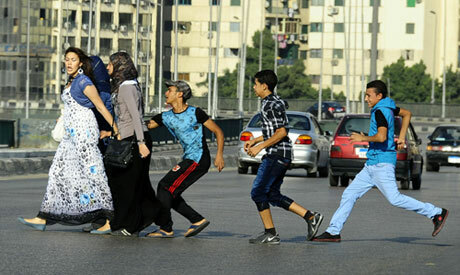 The perilous status of women in Egypt. Once again during this latest round of protests, there were instances of gang rapes of women, mainly to teach them a lesson about their place. One can hardly imagine a happy outcome or future of Egypt in any case when half its population is apparently fair game for males - whether due to lust, to make some political statement with a western female reporter, or merely to restore "honor" due to some perceived breach of such. Muslim countries simply have a long ways to go in this regard, and Teatree believes it important to step out on a limb with a generality here that nevertheless is true. Suddenly, Egypt is in turmoil, and the road ahead seems to be a long one before any semblance of a modern, humane life is the norm. Well, Monday's gunfire which left 54 dead and hundreds wounded was a severe blow to hopes that a relatively smooth reset could be achieved. What's ahead? Without wanting to jump to a sensationalized scenario, the BBC article looks at the question squarely, "Is Egypt heading for holy war?"